This is a crazy dynamic image. It’s bursting with color and violence. It’s just awesome. 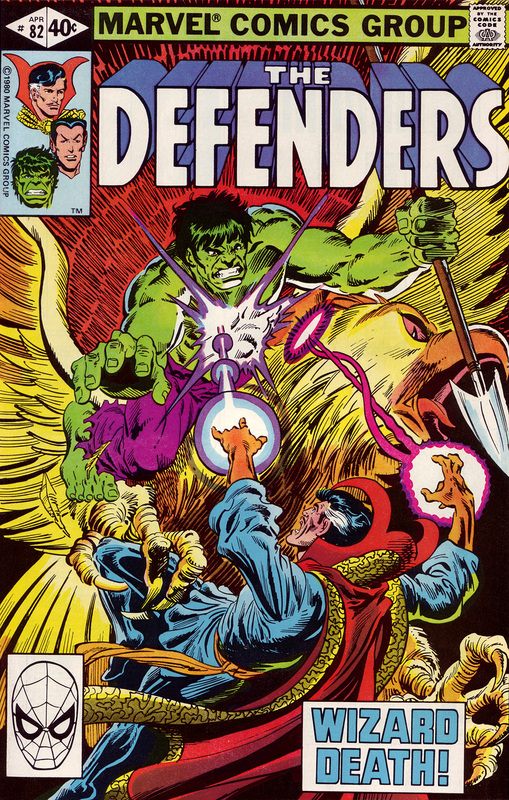 We have the Hulk riding a giant eagle while wielding a spear as Doctor Strange throws various eldritch energy bolts at him. Fantastic. Check back here tomorrow night for another scan in the count-down of my Top 100 favorite comic book covers.